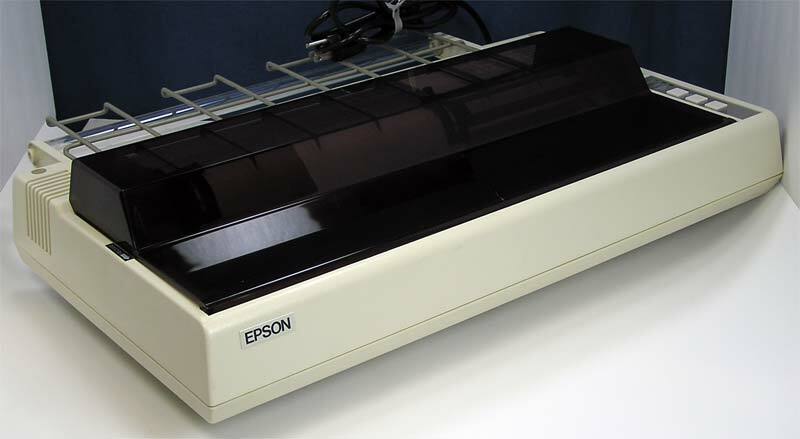 This is the wide carriage version of one of the first and probably most popular printers ever, the Epson MX-80. 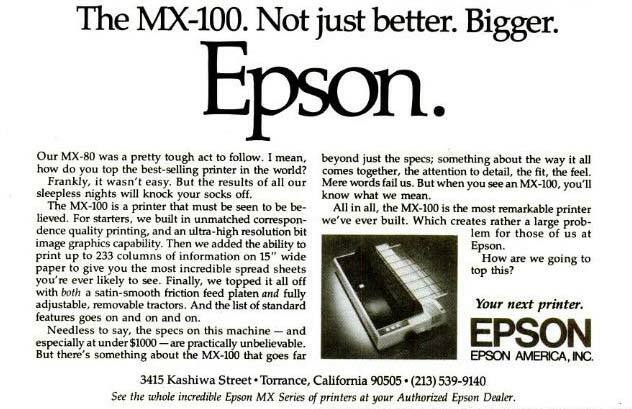 Epson MX-100 became available in early 1982. 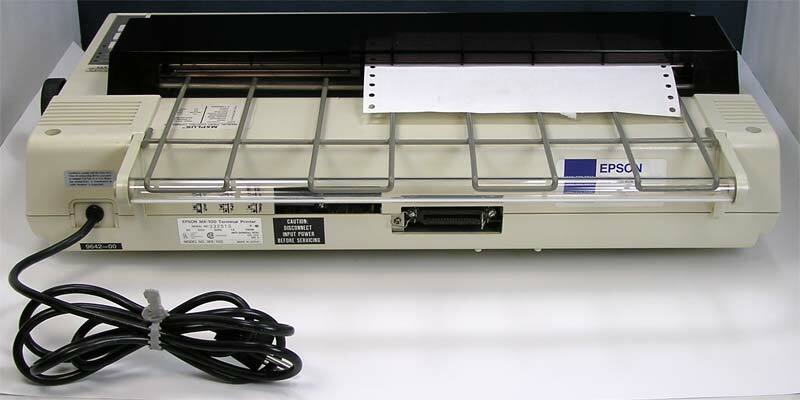 The MX-100 is a 136-column wide carriage model, and can print hi-res graphics without the need to add any special hardware. 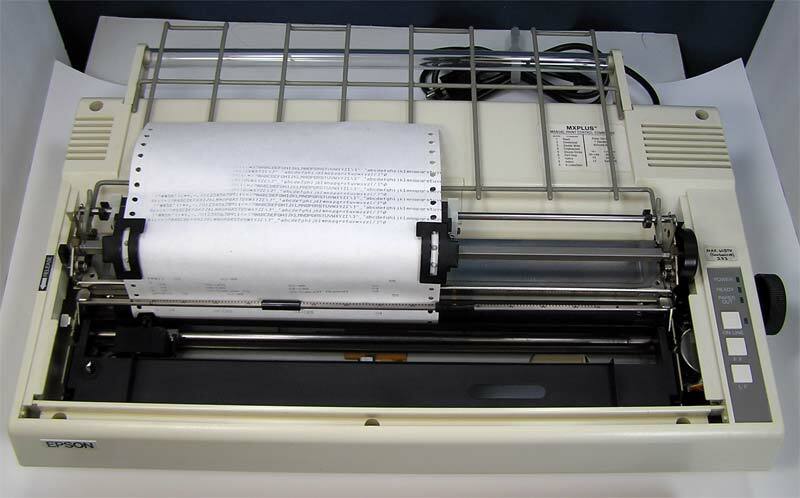 The MX-100 was released with a 15-inch platen to accomodate larger sheets of paper for printing spreadsheets and other forms of output which couldn't be printed on 8 1/2" paper. 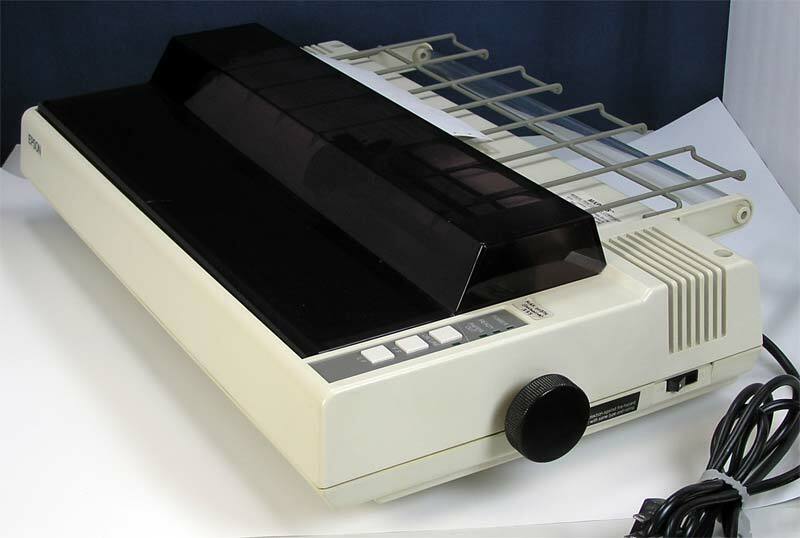 The MX-100 also included an improvement in the firmware which allowed it to print in higher resolution graphics, skip-over perforations, program the right margins, and print in a total of eight international character sets. 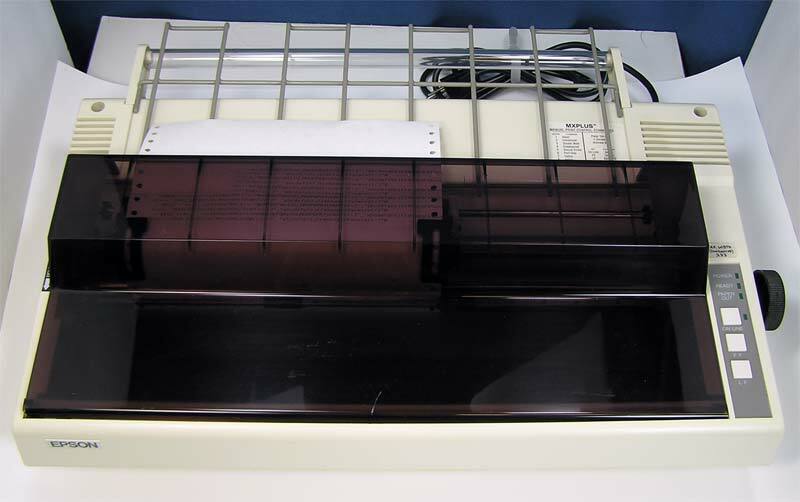 Epson dot matrix printers were unique because they featured a “double print” mode where a line was printed normally, then the paper was advanced 1/216 of an inch and the same line printed again. 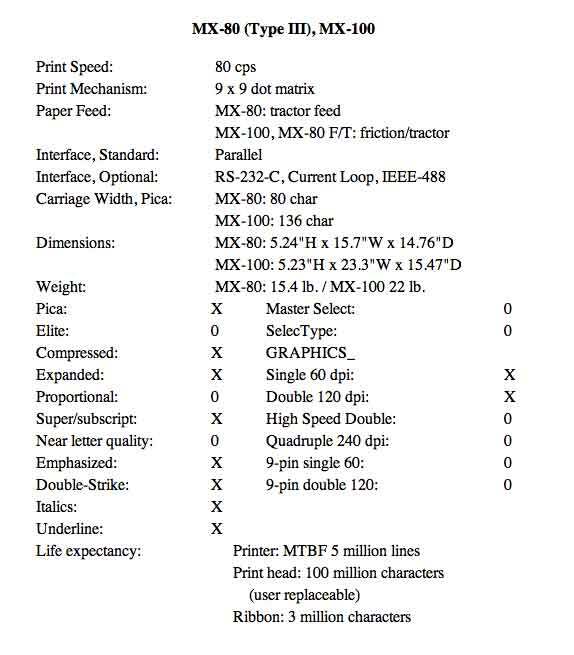 This filled in some gaps between dots on individual letters, and made printouts more pleasing to the eye. 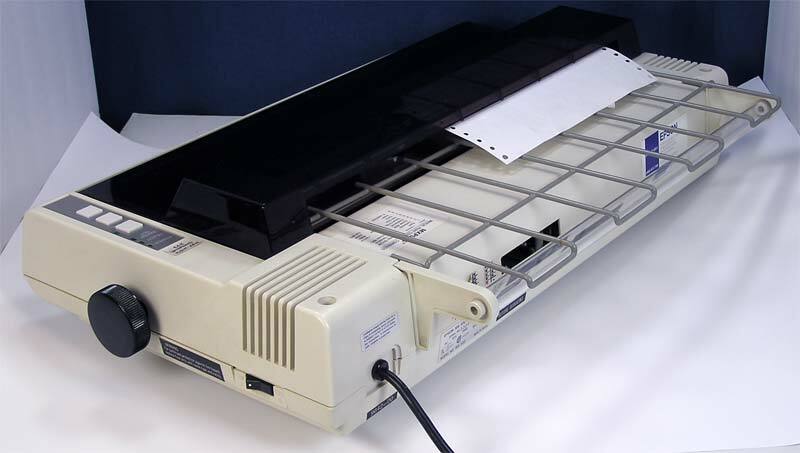 Another feature was a mode in which the pins hit the ribbon harder and made it possible to make multiple copies using carbons. Drivers available for Mac OS 8 through OS 10.6. 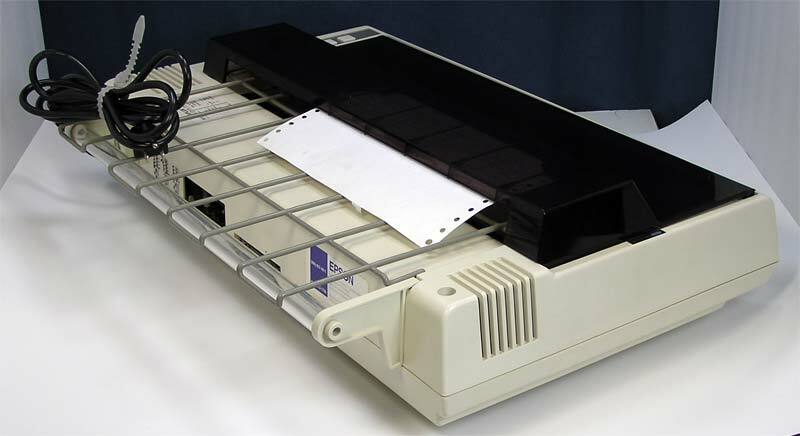 Note that the software downloaded and installed on OS 9.1 only allows for AppleTalk or USB connection. To use USB, you would need a serial to USB converter/adapter (not included). And yet another note - current drivers available on HP are only for OS 8 and 9. 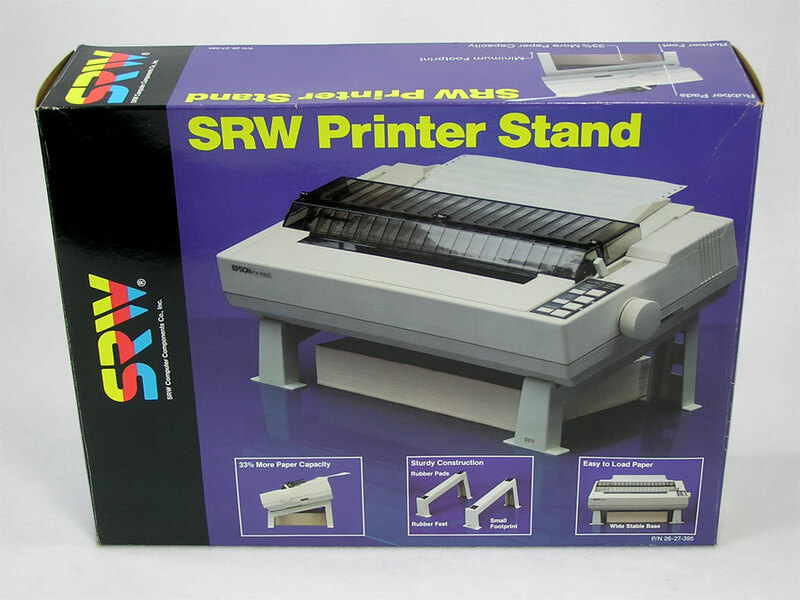 All stands are from a variety of manufacturers and look slightly different. ***Box photo is now for illustration only***. Available now are a couple of used sets where one of the bottom rails has been cracked and glued (one has had four holes drilled in each stand for mounting). Does not affect functionality. 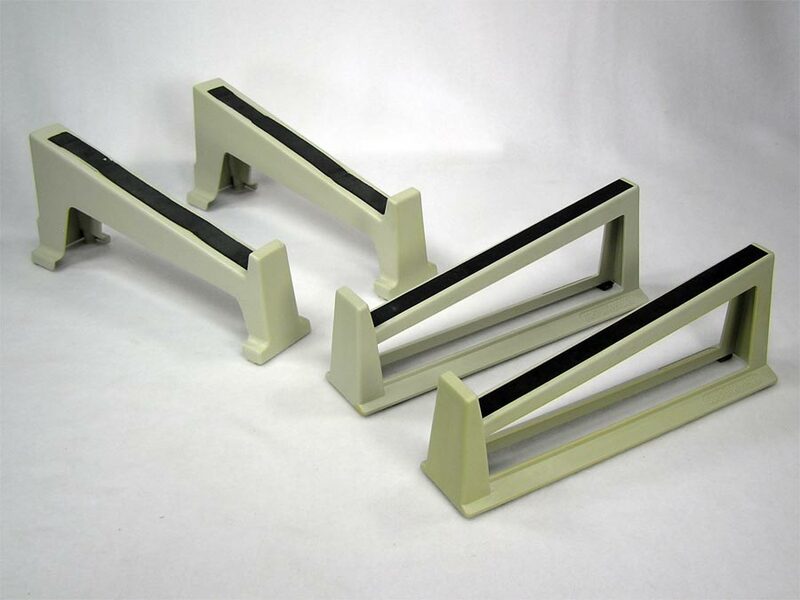 Also available is a larger set (16" long instead of 12") that sits flat instead of angled but has three height position inserts to adjust the angle.